Green limpets, also referred to as half-white limpets, are found on rocks in intertidal waters in areas of West Mexico to Ecuador. These pretty green limpet shells are teal green in color and have a polished interior. They are 1/2" to 3/4" long. 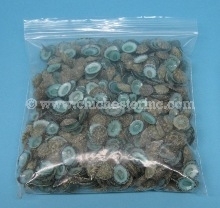 They come in bags of 100 shells. The bags of 100 have an average weight of 86.2 grams or 0.19 pounds. 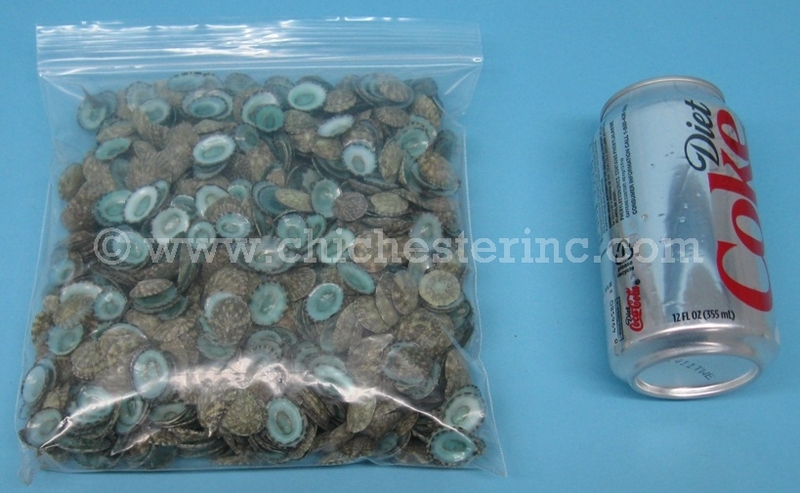 The 100-pieces packs can vary considerably depending on the size of the shells in the pack. 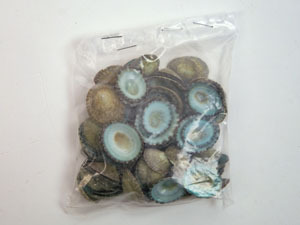 You may also buy the shells by the pound. 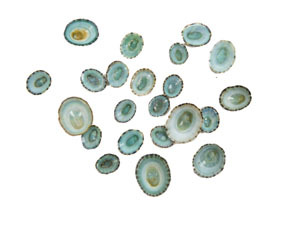 There are approximately 526 shells per pound. Genus and species: Sutorria mesoleuca. Wild. 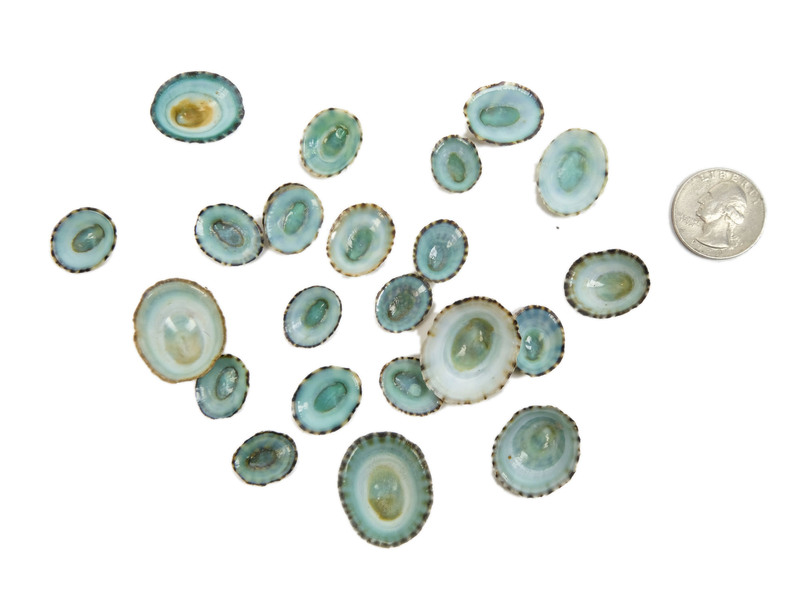 Limpets are not endangered and are not subject to CITES controls.